Galaxy Note 7 devices are blowing up left and right, but Samsung is focused on the future. The company is considering following in Apple’s footsteps and killing the headphone jack on its smartphones, Geek speculates. The maneuver will reportedly see the Korean tech giant replace the standard 3.5mm jack with a new proprietary port that the company can potentially license to a number of Android manufacturers. 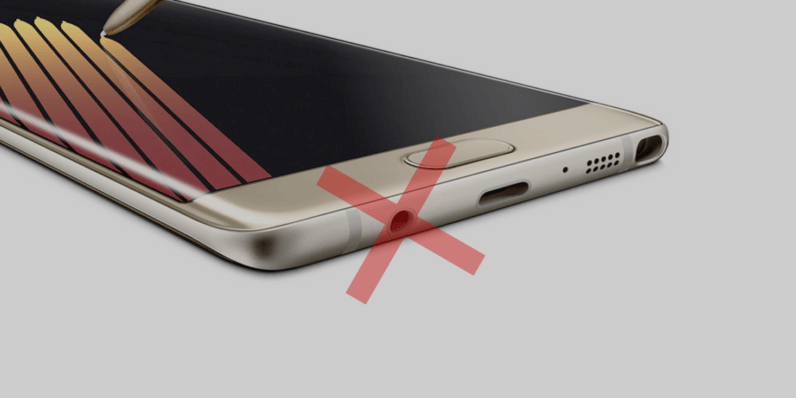 Rumor has it that Samsung is still at exploratory stage with the new port and still away from implementing the technology. However, if the speculations turn out to be true, there could be wider implications for Apple and the rest of the smartphone market. For one, Samsung could block the iPhone-maker from licensing its proprietary jack – much like Apple has done with the Android community and other competitors. If the Korean titan does indeed introduce the new port, the company will have to work out licensing deals with manufacturers in order to support the technology – and this could take quite a bit of time and effort. Among other things, Samsung will also need to figure out whether it wants manufacturers to craft headphones specific to its devices or rather build adapters that will allow consumers to use the standard 3.5mm jack. Still, given all the hassle involved in replacing the headphone jack, it seems highly unlikely the change will arrive soon.